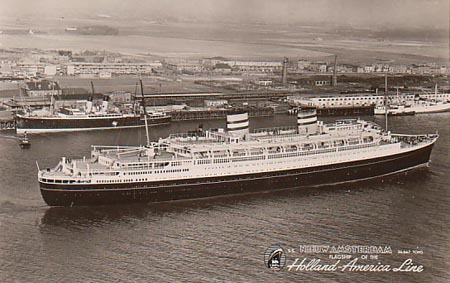 This page is one of a sequence devoted to the Holland America Line (HAL) fleet. 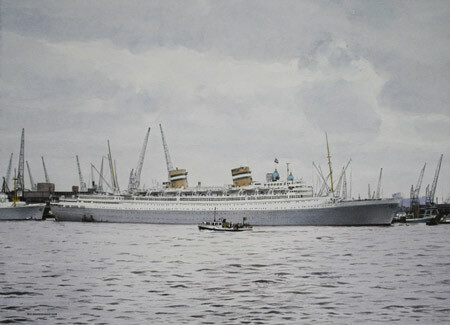 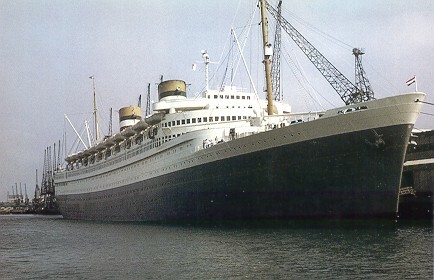 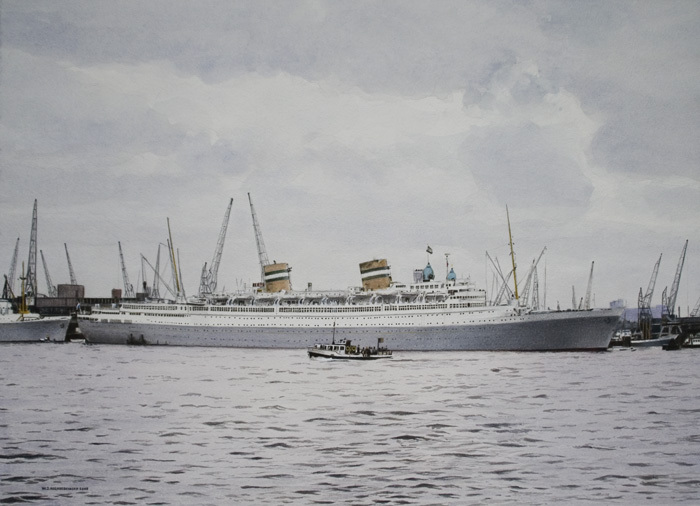 This page covers the post-WW2 ocean liners. 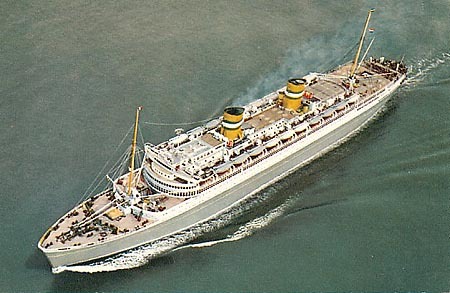 The cruise ships of the Carnival era are shown on this link. 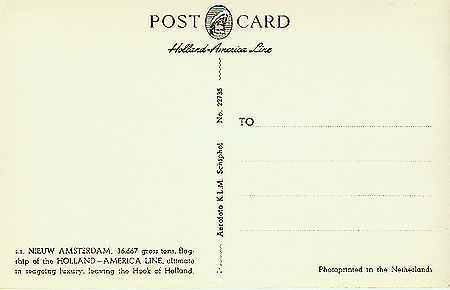 Holland America Line - Post-WW2 - this page! HAL official release of Nieuw Amsterdam (2). 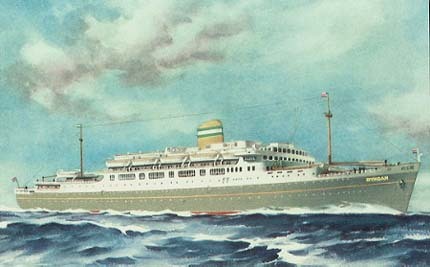 (Variation on the card above). 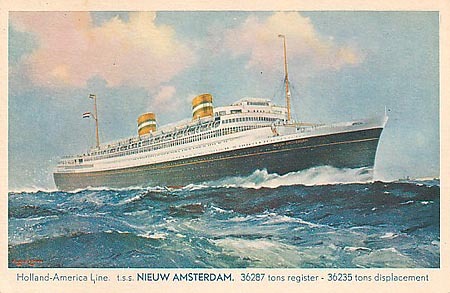 Card back of the HAL official release of Nieuw Amsterdam (2) shown above. 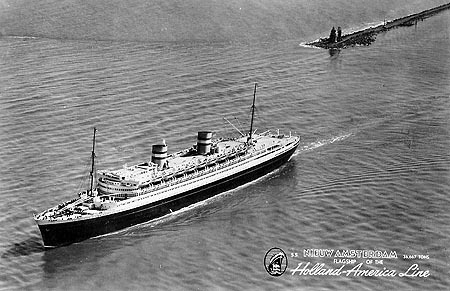 HAL official release of Nieuw Amsterdam (2), passing the Hook of Halland ferry port and an LNER ferry. 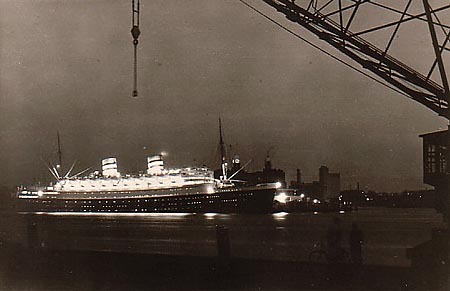 Night postcard of Nieuw Amsterdam (2) at Rotterdam. 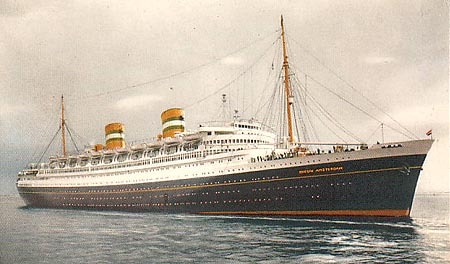 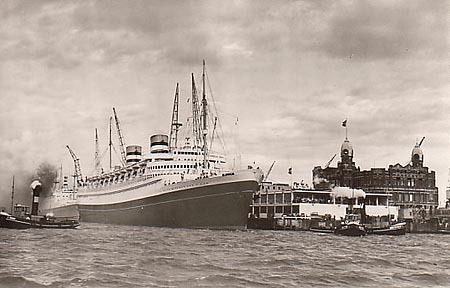 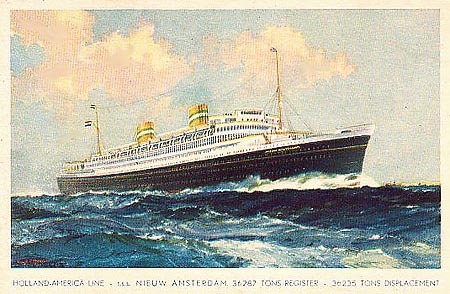 Postcard of Nieuw Amsterdam (2) at Rotterdam. 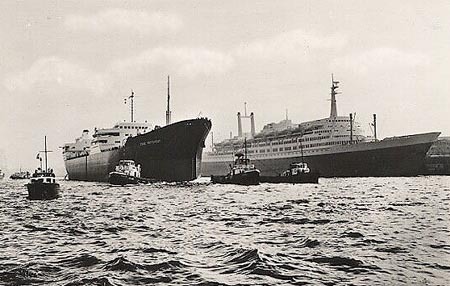 Holland America offices on the right. HAL official release of Nieuw Amsterdam (2) with grey hull. 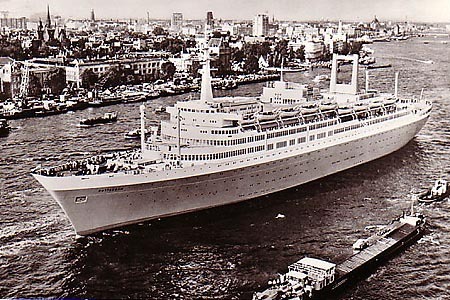 Maasdam (4) was planned as the cargo-liner Diemerdyck, but was redesigned as a small passenger liner. 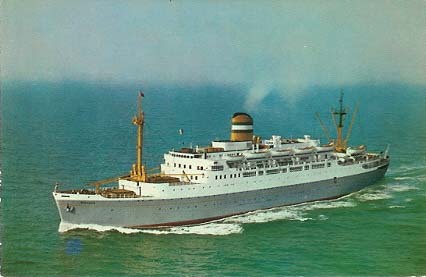 She entered service in 1952 on Rotterdam-New York services. 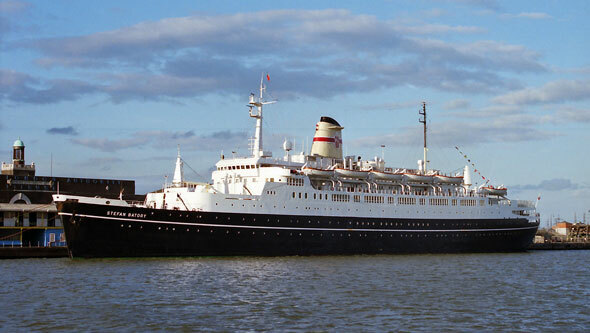 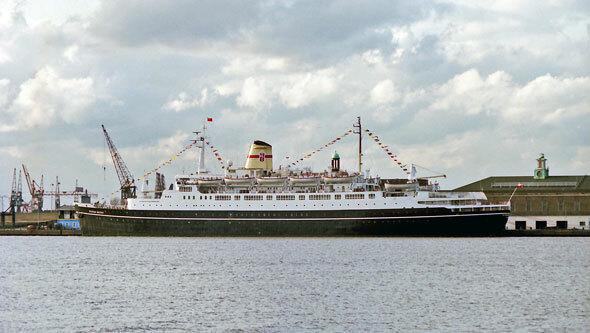 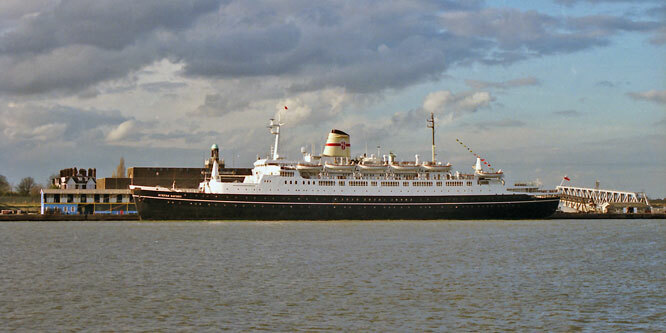 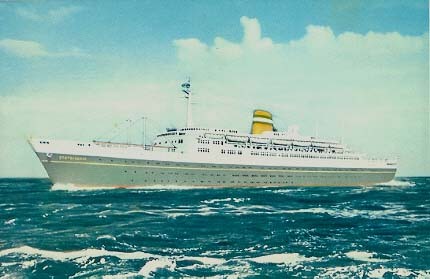 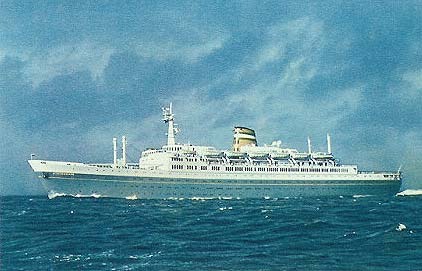 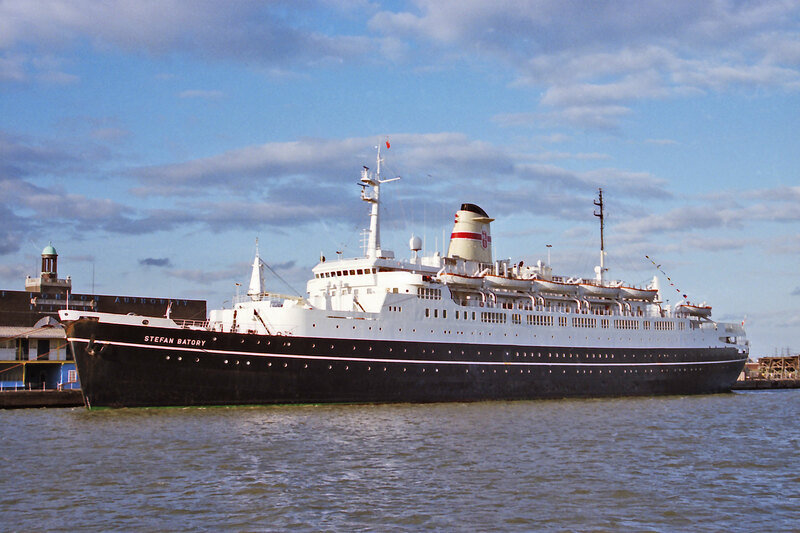 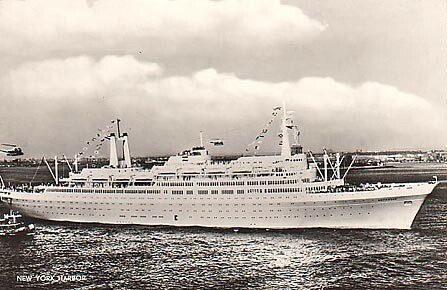 In 1968 Maasdam (4) was sold to Polish Ocean Lines as the Stefan Batory. Stefan Batory was withdrawn in 1988 and was broken up in 2000 in Turkey. 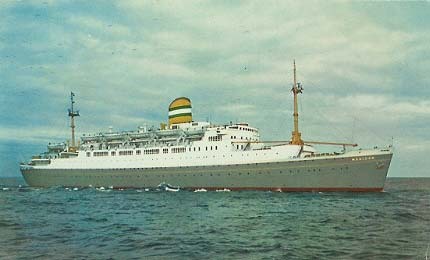 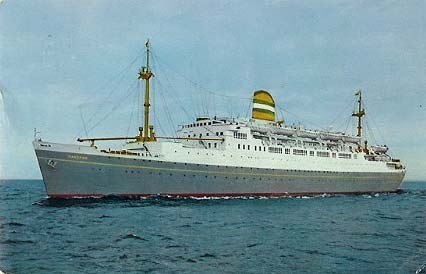 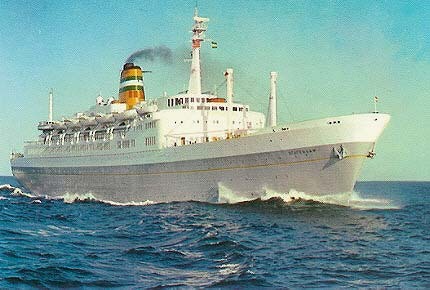 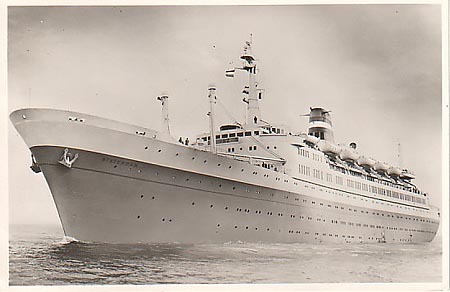 Ryndam (2) entered service in 1951, built by N.V. Dok- en Werfmaatschappij Wilton-Fijenoord, Schiedam. 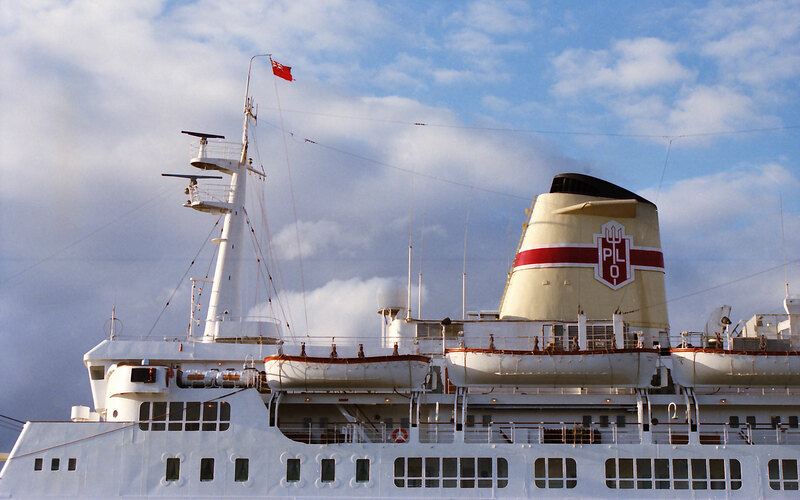 Originally designed as the freighter Dinteldyk, but was redesigned as a liner in 1950. 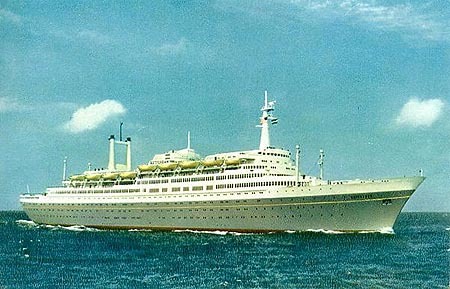 She began her later life as a gambling ship in 1988 under various names, the last was Copa Casino as a static gambling ship at Gulfport, MS. The promenade had slot machines on both sides. 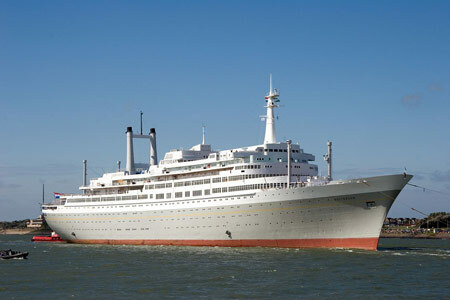 Subsequent names after Ryndam were:- 1968: Waterman, 1968: Ryndam, 1973: Atlas, 1988: Pride of Mississippi, 1991: Pride of Galveston, 1993: Copa Casino, In 2003 she sunk on her way to breakers at Alang. 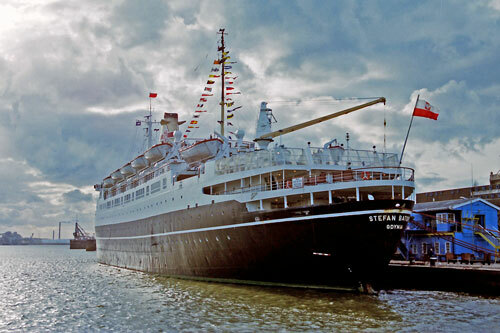 The Statendam (4) was built in 1957. She was bought by the Paquet group in 1982 and renamed Rhapsody, but sold again to the Lelakis group in 1986, and named Regent Star in the Regency fleet. 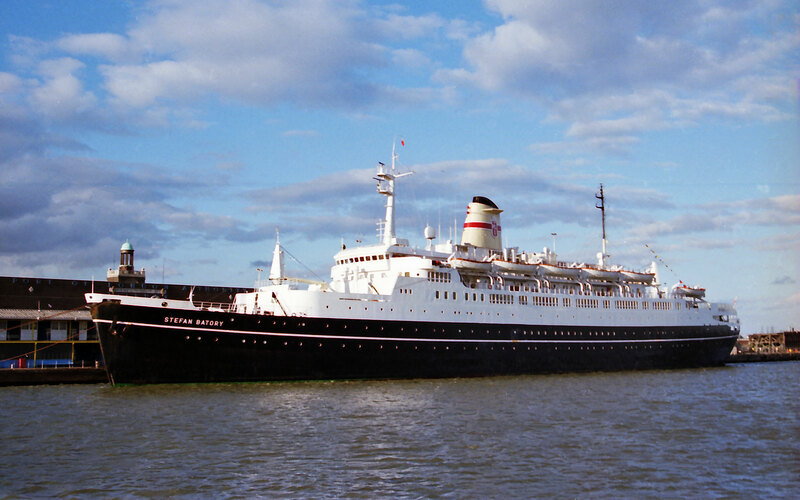 Her steam turbines were replaced by diesels in 1987. 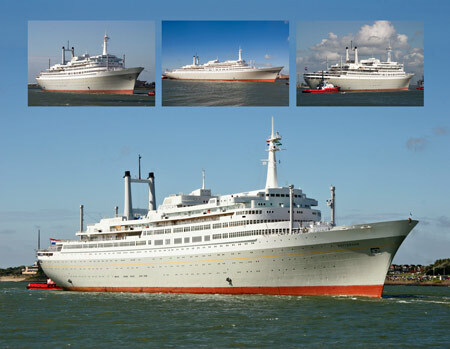 She has been inactive since the Regency Cruises bankruptcy. 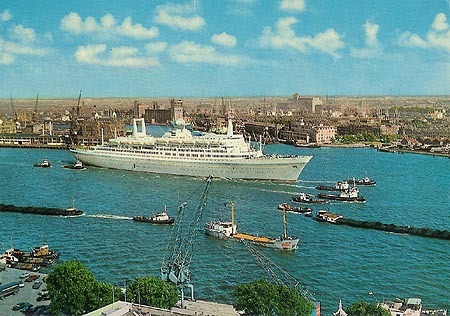 A complete postcard history of this ship, including subsequent period with Holland America Cruises, is available on this link. 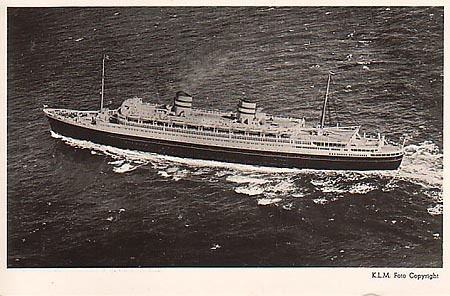 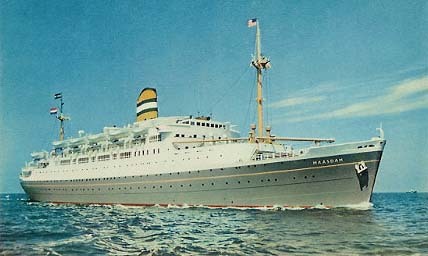 Official HAL postcard of Statendam (4). 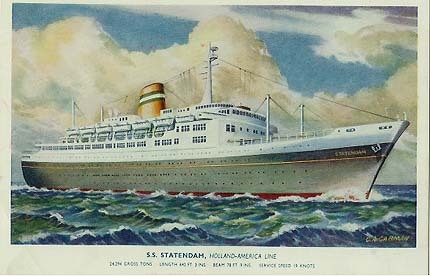 Salmon art card of Statendam. 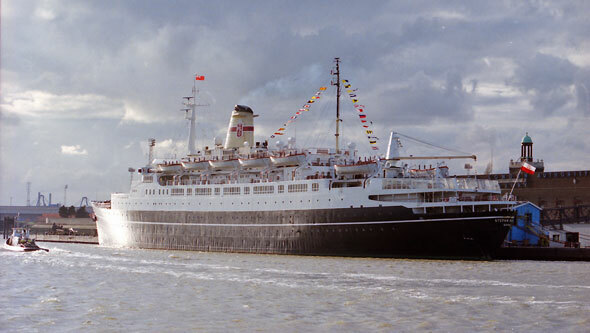 A complete postcard history of this ship, including subsequent period with Holland America Cruises, is available on this link. 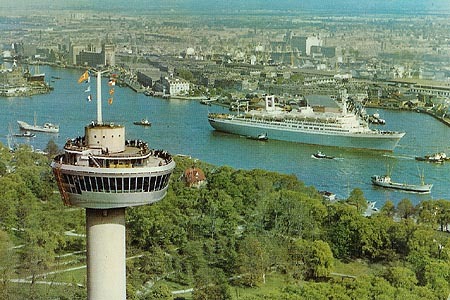 Official HAL postcard of Rotterdam (5). 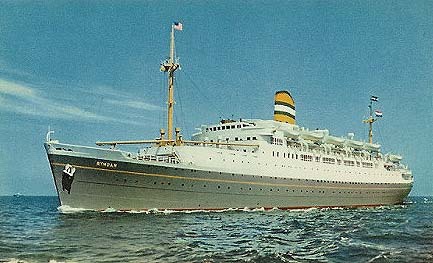 Postcard of Rotterdam (5) at new York. 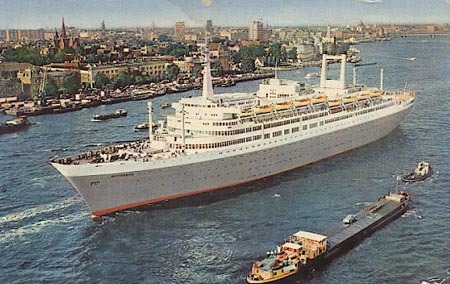 Postcard of Rotterdam (5) at Rotterdam.